Working as a coffee farmer means working hard. Water has to be carried from the shared well, over one kilometre from your home. You prepare your food on the ground. Pride in serving a fantastic meal, genuine hospitality, and unselfishly sharing what you have is something the rest of the world could learn from our coffee farmers at Mount Elgon. 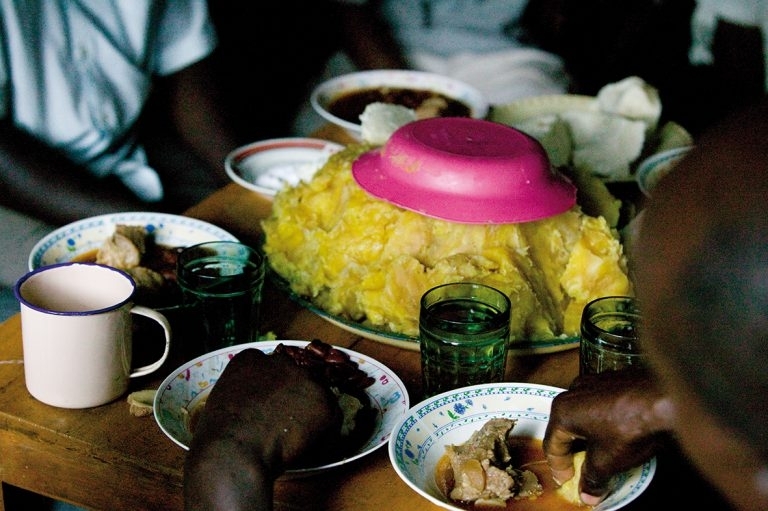 Matoke is a dish of mashed plantains, green banana and is the most eaten fruit staple in the Ugandan diet. When it is boiled, it’s wrapped in banana leaves. The taste according to non-Africans is similar to sweet potatoes mixed with a bit of corn. For Africans, it tastes like matoke. A days meal usually starts with pala, a maize meal porridge usually eaten very sweet, or some mandaz, a kind of doughnut. Mandazi, or fruit in season such as bananas, mangoes or avocado pear are often eaten by workers in the field during their morning tea break. 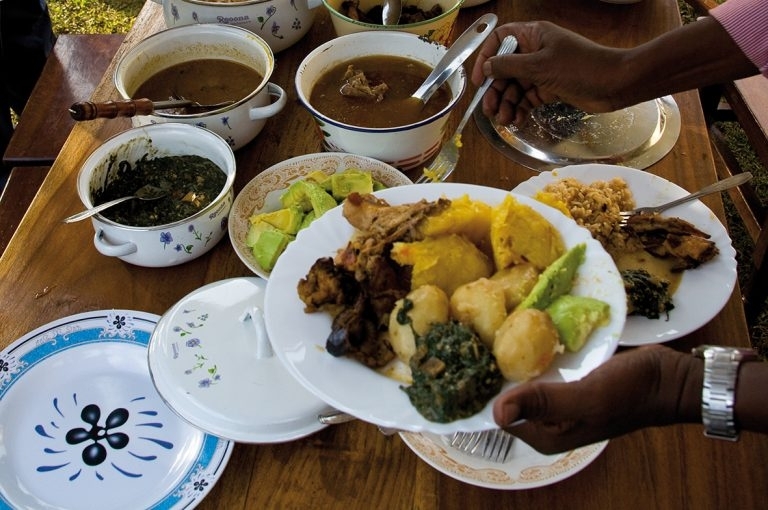 Lunch, taken between Noon and 1 p.m., amost always consists of the staple of maize meal known locally as Nsima, together with a vegetarian relish, and either beans or green vegetables. The traditional evening meal is again Nsima with a relish or gravy. Until you have had a plateful of Nsima, you cannot claim to ever having eaten. The clinic on Satemwa was built in 1938 to provide help and information to the workers on the estate. It is open 24 hours a day, and employs a doctor, two nurses, and assistant clinic staff including an ambulance driver. Funded by Satemwa as well, it is open to everyone in the surrounding community. An HIV/AIDS program is funded by the MSF government, with HIV awareness programs being held at the school, in the villages and at the training centre. The three most commonly performed treatments at the clinic are Malaria, Pneumonia/Upper Respiratory Tract Infection (U.R.T.I.) and Septicemia (Sepsis). Other services provided include: Family planning and maternity services, HIV testing + consulting, ARV therapy (Anti-viral for HIV/AIDS) and the IEAC, which is health education provided by the clinic to schools, factories etc. The All Saints church, built in 1953, rose through a cooperative effort by a local planters’ committee, Satemwa, the neighboring Conforzi tea estate, and Arthur Westrop. Conforzi provided the bricks and architectural work, with Westrop creating the churchs’ roof. The property was given by Maclean Kay, who in 1957 also had a graveyard consecrated, when his daughter died in a light aircraft crash. All Saints, led by Father Willard, is a non-denominational church, welcoming all, and helping the surrounding Christian community to the best of its ability. 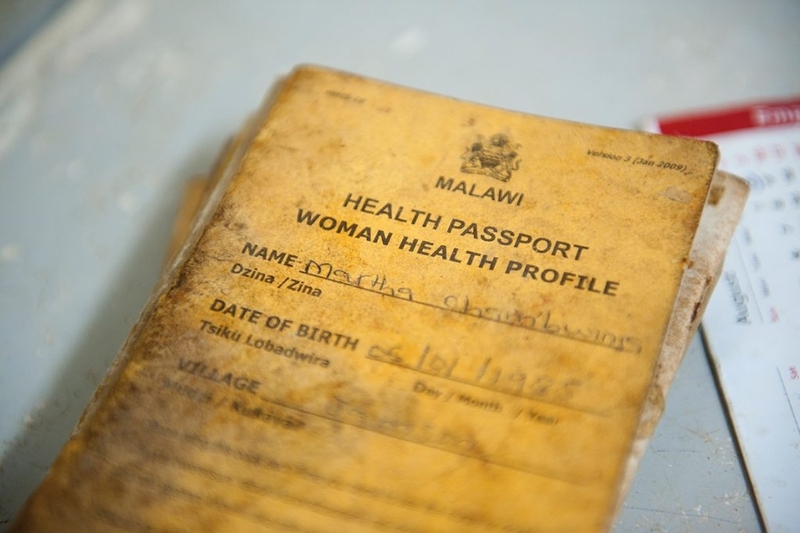 The Malama Feeding Centre is a Malawi Registered Charitable organisation, which sources it’s donor funding mainly from overseas and is run by a small group of people. It is situated in close proximity to the All Saints Church on Satemwa Tea Estates, Thyolo. Every day, Monday to Friday, it feeds lots of underprivileged individuals with a large mug of nutritious, vitamin enriched porridge and also a cup of hot, sweetened, milky Satemwa tea. Overall it feeds about 200 needy people including the elderly and infirm, HIV/AIDS victims and their dependent orphans. It also feeds sixty-two children who attend the Centre’s pre primary school. A good number of the elderly folk have to walk considerable distances – just to get something to sustain them throughout the day. Established in the 1960s and situated inside the Satemwa compound, the school is one of the structures where students live and learn. Today Satemwa School has grown into a Full Primary School, with eight standards (grades) and 20 teachers. All are welcome at the school: enrolment has bloomed to close to 900 students from the local area .